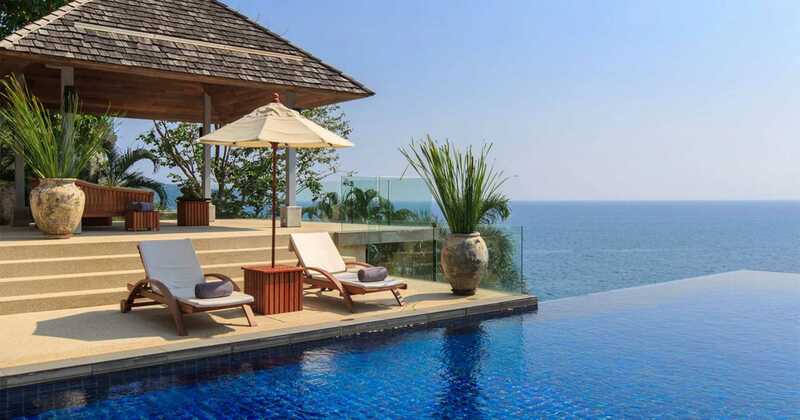 Incredible coastal views, curated Asian art, and light-filled spaces infused with local charm – Villa Lomchoy envelopes you in authentic Thai warmth. 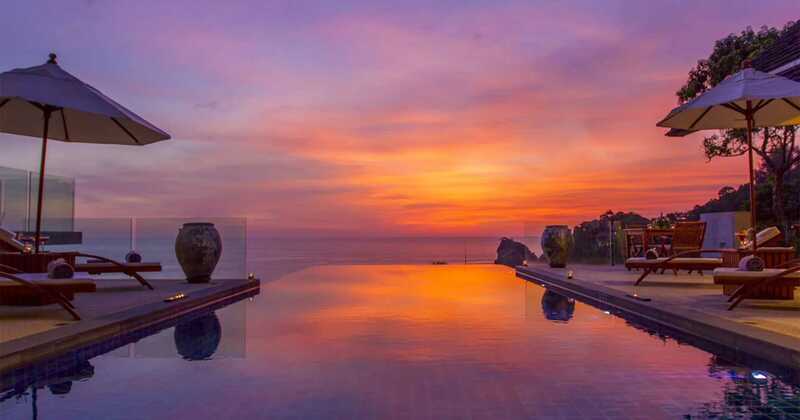 A west-facing position captures spectacular sunsets, while every room in the house offers ocean panoramas. Thai for ‘blessed by the ocean breeze’, ‘Lomchoy’ is named after the cooling winds that roll in across the Andaman Sea. 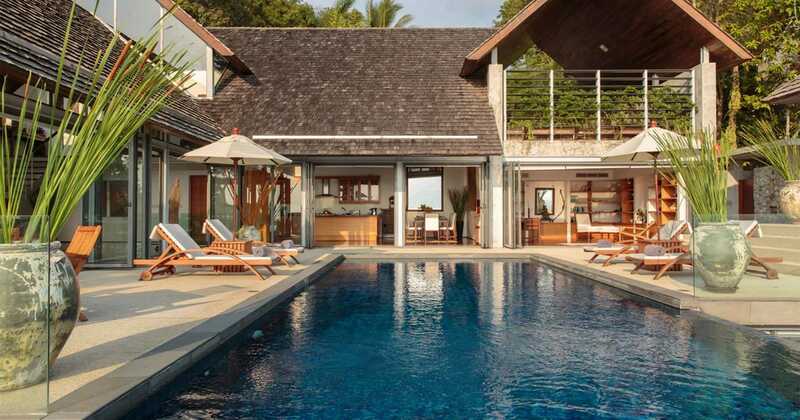 With terraces that reach out to the horizon, Lomchoy is blessed by breezes and more, with practically every space of the villa bathed in the Andaman’s brilliant blue. 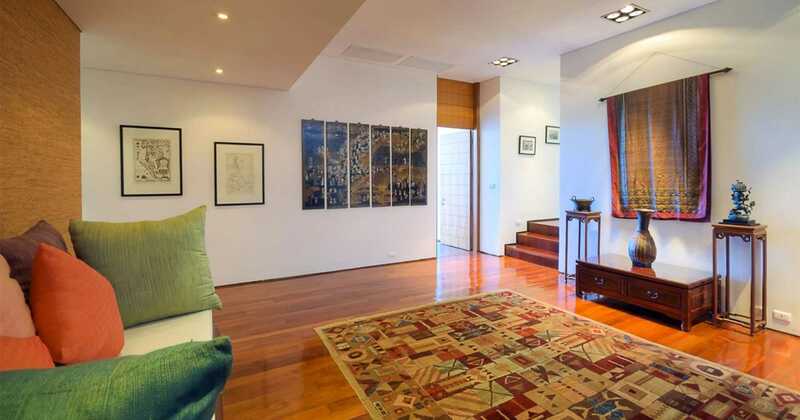 Warm and welcoming, Lomchoy surrounds you with objets d’art from across the Asian continent. 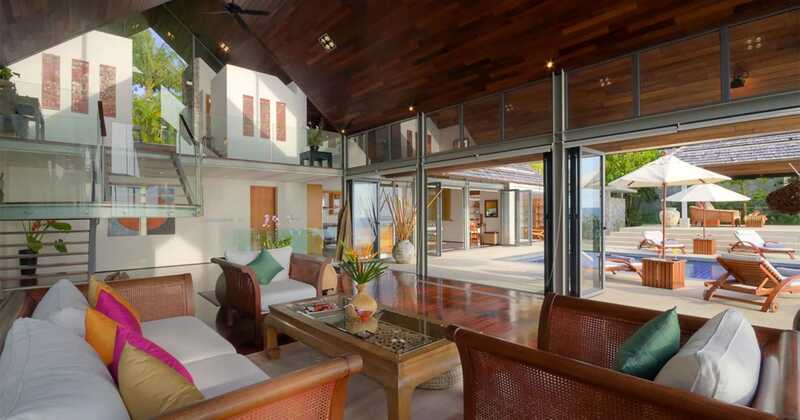 Dark teak floors, vaulted ceilings, local textiles and carved furnishings create an authentically Thai ambience, while the clean lines of the villa’s architecture convey effortless style. 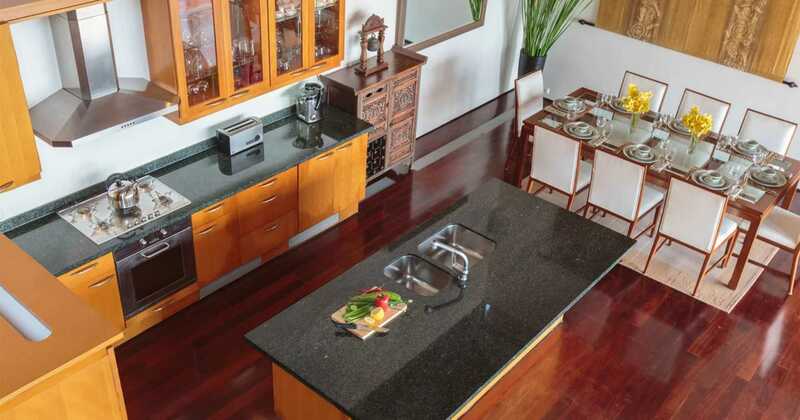 At Lomchoy’s heart, a dining room with galley kitchen brings family and friends together around a communal table. Serviced by a separate staff kitchen, it’s the perfect place for a gourmet meal prepared by Lomchoy’s dedicated live-in chef. Off to the side, a home office provides a quiet corner for business. 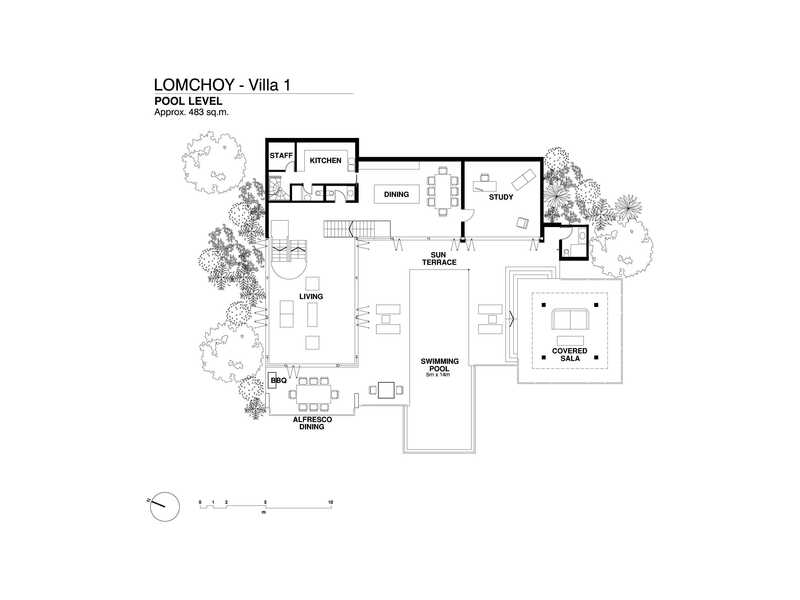 Opening up from the main living areas, Lomchoy’s wide terraces provide more space for socializing, with a barbecue and alfresco dining table against a backdrop of panoramic views. A deep-blue infinity pool blurs with the skies, while shaded sun loungers and an elevated open-air sala pavilion gaze out on open seas. 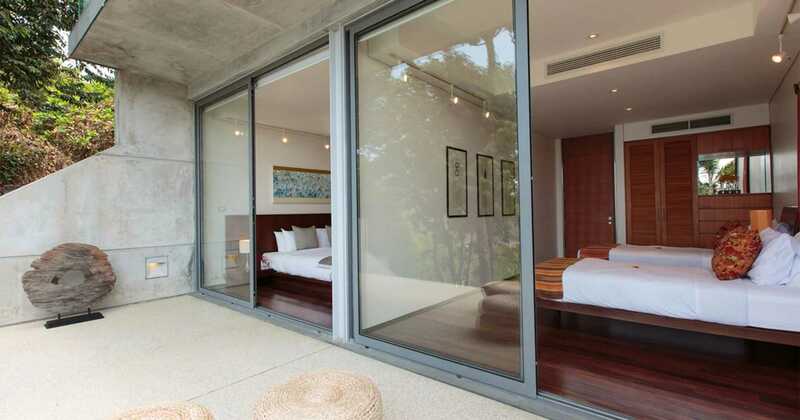 On the bottom floor, five spacious bedrooms each claim their own sparkling views of the Andaman, with terraces that lead down to a seaside garden. 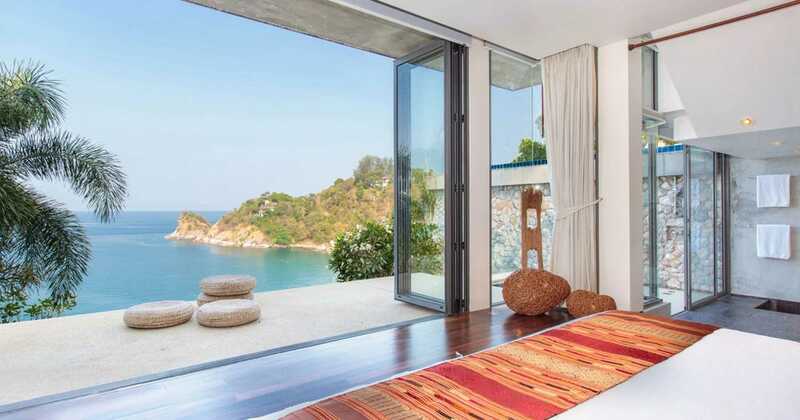 In the master bedroom, a king bed overlooks azure waters, while an open-plan ensuite opens to a sunken outdoor bath. Down the hall, a split-level home theater comes equipped with everything you need for a movie night – iPod docks, a flat screen TV, DVD player and cozy ‘nest’ chair and sofa bed – converting to a spare bedroom that kids can sleep in. 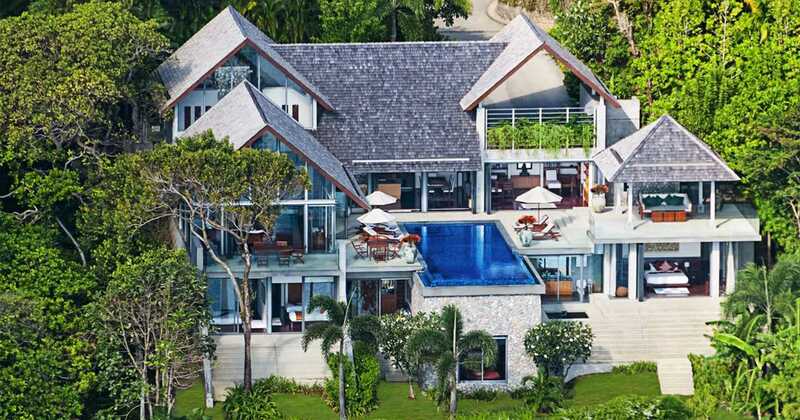 Lomchoy is just moments from Samsara Phuket’s central office, where your villa concierge is available to make any arrangements and answer any enquiries. 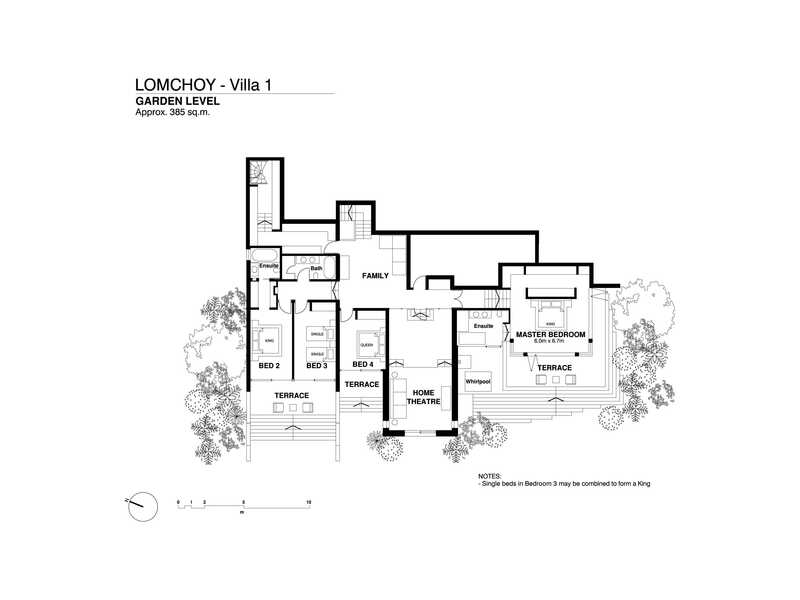 Alongside a resident chef, Lomchoy is also staffed by a live-in housekeeper/butler. Asian contemporary design and furnishings; lots of wood, rattan, water hyacinth, etc. 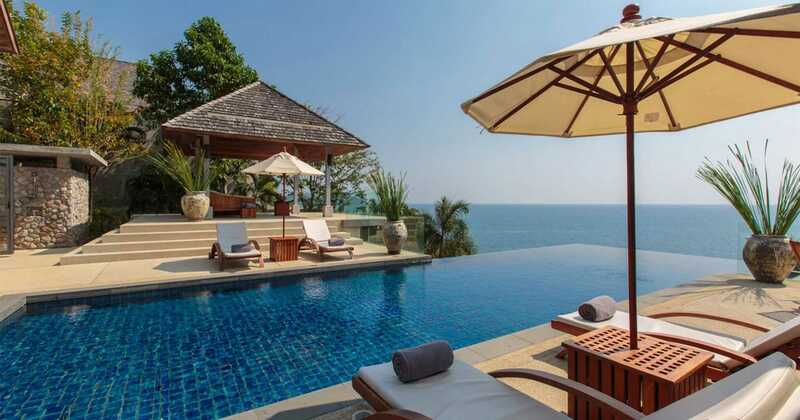 Breathtaking sunsets and Champagne, moonlit dinners by the glimmering Andaman Sea – the intimate Villa Lomchoy can host the perfect couples’ getaway. 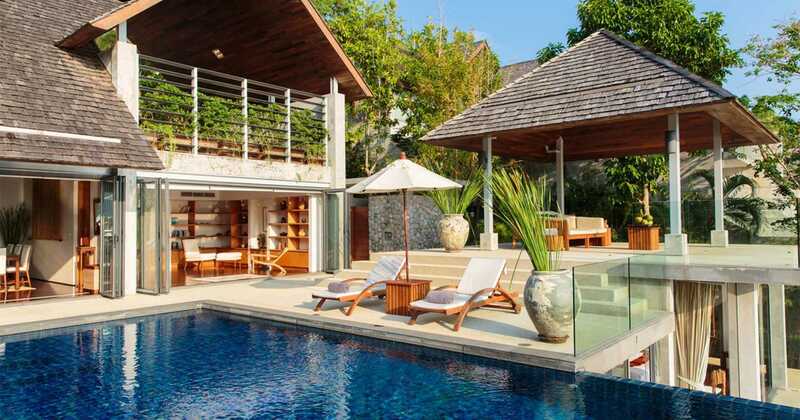 Enjoy butler service from your Thai-style sala, unwind in your sunken bathtub, or take a midnight dip under the stars – this 5-bedroom pool villa is your own private sanctuary, with discreet, dedicated service to cater to every whim. 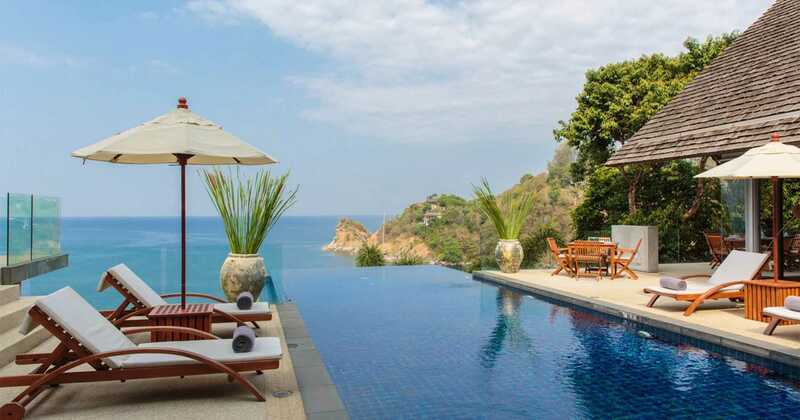 Families can enjoy a pampered stay together at Villa Lomchoy, with an infinity pool for splashing around in, home theater for games and movies, a private chef to cook up family feasts and plenty of space for everyone. Host a barbecue on the terrace, laze by the pool, watch movies together and just spend time with family while we take care of everything else. Revitalize your team with a seaside stay in the warm and welcoming Villa Lomchoy. 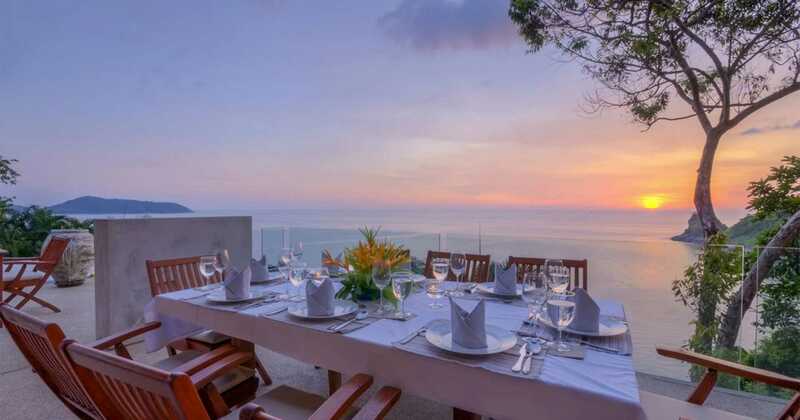 A peaceful ambience and serene ocean setting provide the perfect environment for executive guests to relax and get to know each other away from the pressures of 9 to 5. Materials and any additional equipment required for the home office can be easily provided by our villa concierge. 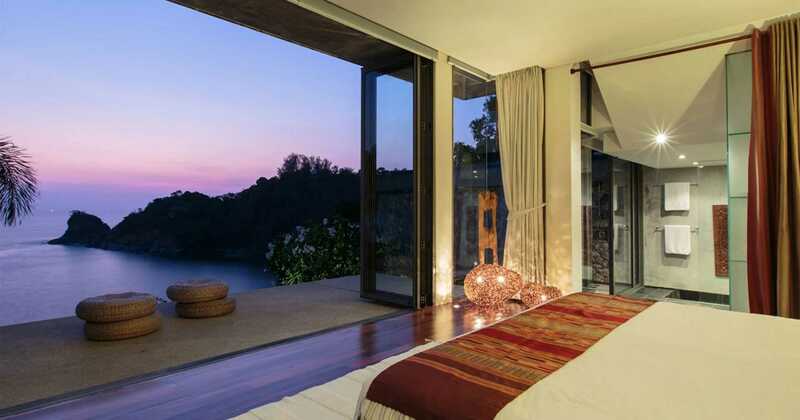 What a beautiful villa with a perfect view! Chef cook Aof & Tuk are amazing staff. Our kids enjoyed the special banana pancake e era morning. Dinner was amazing, every meal were served with love by Aof. Thank you for have us, it was beautiful. We had the loveliest time here! This home was the perfect place for adding to our family memories. Juree did an amazing job at helping us plan our days exploring this beautiful island. Recommend the most measuring beach(Layan Beach) , and even found a way to work coffee (Starbucks) outing into our daily itineraries. 🙂 Sj sets by the pool here were the best I’ve ever seen! By far the best of of this stay were our diners prepared by Tuk & Aug. The presentation and taste , the traditional Thai meals was superb!. Tuk and Aof are genuinely good people, and took such good care of us. We highly recommend staying here. Happy New Year! Unbelievable stay! Absolutely loved the home and staff. And the meals were amazing. We will definitely be back and hopefully stay longer on the next trip. Merry Christmas.